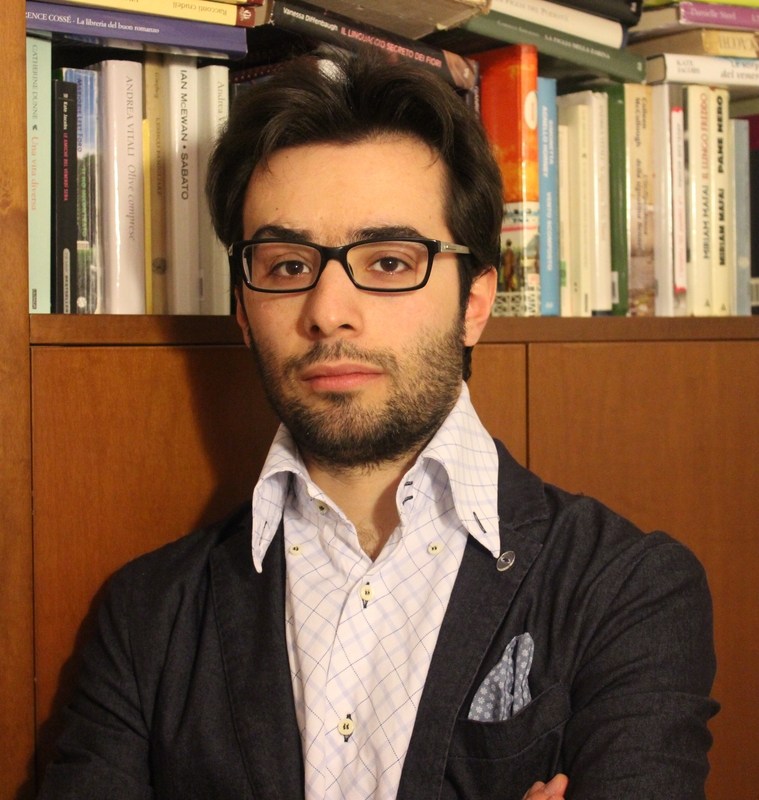 Bio: Fabrizio Baldassarri defended a Ph.D. thesis in Descartes’ naturalistic studies in 2013, especially focusing on a Cartesian natural history embedded within his natural philosophy. He has recently been aiming attention at Descartes’ botanical studies as they emerged in Descartes’ correspondence and in his under-studied manuscripts. Additionally, Baldassarri’s thread of research are directed towards (1.) the comprehension of Descartes’ methodological procedures and their implementation in his philosophy, i.e., the relationship method-experimentation; (2.) the understanding of Descartes’ theory of matter, i.e., the emergence of an individuality in matter; (3.) the redefinition of Descartes’ sciences of life and of a few aspects of his medicine, physiology and therapeutics. Baldassarri has published and given presentations on all these subjects, and he is now looking at the sources and the relationships Descartes’ had with his scientific studies. He is collaborating at the redaction of the New Index Scolastico-Cartésien (edited by Dr. Igor Agostini). Project description: This projects aims attention at reconstructing a few aspects of Descartes’ bio-medical manuscripts (the Excerpta Anatomica and the Remedia et vires medicamentorum). These laboratory notes in fact contain new captivating information about Descartes’ experiential researches of natural philosophy, and especially Descartes’ focus on medicine, chemistry, and botany. While Descartes’ published works revealed a gap between his theoretical and practical medicine, showing discrepancies in his medicine and life sciences, these manuscripts provide fascinating new insights. Chemical and botanical studies connected these fields. The main goal of this project is to shed light on these studies, and especially on some possible sources Descartes should have used (or simply known). Tracing the sources that “influenced” Descartes, the contemporaries’ work he consulted, or the experiences he achieved with his collaborators would reveal the development of his science and the relationship between his science and his method. The main objective – highlight Descartes’ relationships – would aid in disclosing the features of Descartes’ collaborative science, especially revealing the characteristics of his natural philosophy. “From Extension to Individual Bodies. Descartes’ Complex Theory of Matter”. In: Epekeina. International Journal of Ontology, History and Critics, vol. 5, 2015, n. 2, pp. 3-19. “La stanza enorme. Descartes, tra vita ritirata e comunità” [The Enormous Room. Descartes, a Retired Life or Life in Community]. In: “Individui e Società”, numero speciale dei Quaderni della Ginestra, 15, 2015/2, pp. 33-45. “Pietro Pisanello”, in Bibliografie Treccani Online, (a cura di Pietro Corsi), forthcoming, accepted. Review of: É. Cassan (ed. by), Bacon et Descartes. Genèses de la modernité philosophique, Lyon, ENS Éditions, 2014, 192 pp., on Bruniana & Campanelliana. Ricerche filosofiche e materiali storico-testuali, XXI, 2015/1, pp. 227-229.
Review of: T. Gregory, Principe di questo mondo. Il diavolo in Occidente, Roma-Bari, Editore Laterza, 2013, p. 80, on Nuova informazione bibliografica, XIII, 2015, 2, pp. 410-414. “«Omnis scientia est cognitio certa & evidens». Il lessico dell’evidenza nelle Regulæ e nella corrispondenza di René Descartes”. Submitted to Lexicon philosophicum. “Experience or Method. Descartes and Bacon in the Battle for Scientia” Submitted to Intellectual History Review. “«Quelque connaissance de la natre [pour] en tirer des règles pour la médecine». Botany, Physiology and Therapeutics in Descartes”. Submitted to the volume Studies in Intellectual History, Brill. Essay Review PhD dissertation, “From Natural History to Natural Magic: Francis Bacon’s Sylva sylvarum”. Submitted to Seventeenth Century. 1. “«[D]e viventibus, sive animalibus et plantis, […] essem scripturus». The Unaccomplished Quest for Unity and Descartes’ Botanical Studies”. In preparation. 2. “The Care of the Self, the Cure of the Mind. Descartes, Madness, Passions, and Reason”. In preparation. 3. “Collecting and Museums in the Birth of Modern Science. From Bacon’s to Descartes’ Cabinet.” In process. 2. Participation to the Bucharest-Princeton Seminar in Early Modern Philosophy, “Philosophical Conversations: Intellectual Interactions in the 17th Century”. Organized by D. Jalobeanu, V. Alexandrescu (Bucharest University), D. Garber (Princeton University). Report title: “Descartes’ Philosophical Conversations on Botany”. 3. Preparatio to the XVI Convegno in storia della chimica, Rimini, 22-24 Settembre 2015, organized by Gruppo Nazionale di Storia e Fondamenti della Chimica, prof. M. Taddia (Bologna). Report Title: “Descartes e la medicina tra alchimia, chimica e botanica”. 4.Preparation of the Fellow Seminar, Institute for Research in the Humanities, Bucharest University (IRH-UB), September 17, 2015, Report title: “René Descartes’ Underdeveloped Studies. Completing his Natural Philosophy”. 1. Presentation of research project at the Radboud University, Nijmegen, with prof. C. Luthy, P. Bakker, C.R. Palmerino, dr. D. Bellis; and period of study at the University Library, May 20-23, 2015. 21 May 2015, presentation: Medicine, Physiology, Botany, and the Life Sciences. Descartes’ (under-studied) Manuscripts”. 2. Period of Research at the University Library of Padova. June 1-9, 2015. Participation to the “International Meeting of the History of Medicine and Pathology”, organized by prof. G. Thiene, prof. J.G. van den Tweel, prof. F. Zampieri. 3. Meeting with prof. I. Agostini, University of Salento, Lecce, August 12, 2015. 4. Period of Research at the Archiginnasio Library, Bologna, August 24-September 7, 2015. 5. Meeting with prof. F. Zampieri, University of Padua, September 3, 2015. 6. Meeting with prof. E. Scribano, University Ca’ Foscari, Venice, September 8, 2015.